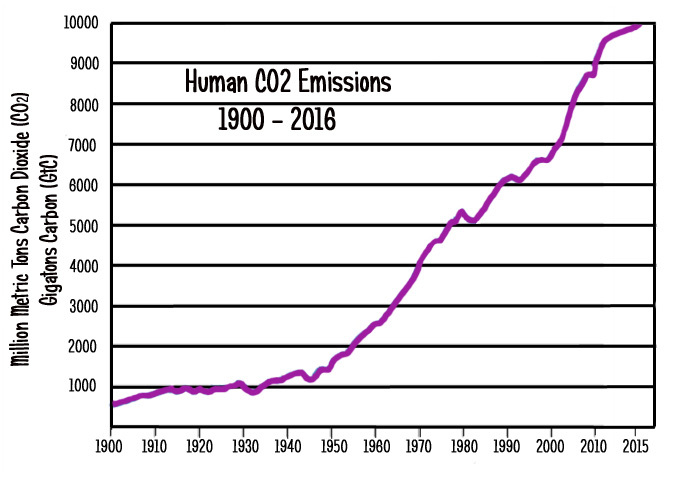 Despite the surge in CO2 concentrations since 1900, the UN’s Intergovernmental Panel on Climate Change (IPCC) has concluded that global sea levels only rose by an average of 1.7 mm/yr during the entire 1901-2010 period, which is a rate of just 0.17 of a meter per century. During the 1958 to 2014 period, when CO2 emissions rose dramatically, a recent analysis revealed that the rate of sea level rise slowed to between 1.3 mm/yr to 1.5 mm/yr, just 0.14 of a meter per century. So if you have beachfront property and are panicking (along with the climate change activists marching last year in Miami) that sea levels are rising due to climate change, you have good reason to worry. 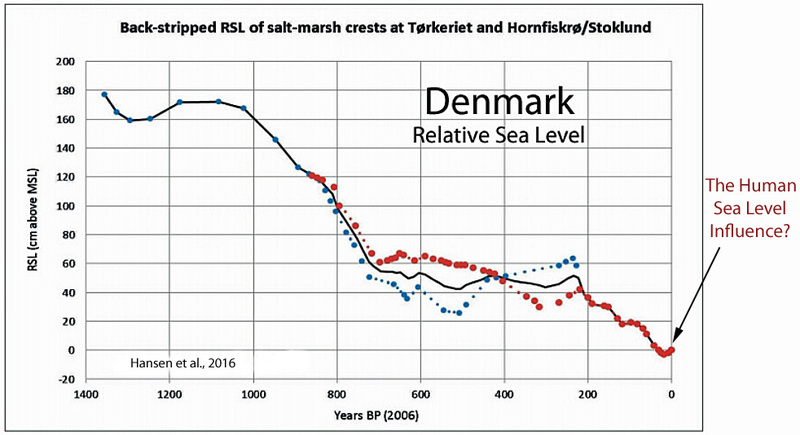 The geological evidence, including this study in Denmark, shows that climate indeed changes and has a huge affect on sea levels. However, if you are only panicking about sea levels rising, you need to also panic about sea levels falling. There is almost as much chance that sea levels will recede from your beachfront property making it less valuable. Environment America: Global Warming Threatens Super Bowl Teams! Is the sun causing the cold snap? Switching a city bus fleet to CNG is a no-brainer! Will the trend toward CNG continue? Canada Abandons Kyoto Treaty. The U.S.( Not a Member!) Should Abandon It Also.